The Toyota Paseo was the last attempt from the Japanese manufacturer to build a low-cost entry-level sports coupe. The car was stopped in 1999 and has no direct replacement at the moment. X-Tomi envisions a worthy successor with his latest renderings based on the Auris hatch. The two-door four seater should rival the likes of Opel Astra GTC and the Renault Megane Coupe. Do you think the Paseo deserves a place in Toyota's lineup? The recently unveiled 2014 Corolla in both U.S.- and Euro-spec versions won’t win any design awards, but it certainly brings a significant improvement in terms of styling compared to its predecessors. It’s a nice surprise to see the Corolla looking fairly attractive and this could be the reason why some have already released renders with the recent versions of the eleventh generation model which originally debuted last year in Japan. The U.S.-spec version was a source of inspiration for X-Tomi Design who envisioned the car as a coupe. Again, it’s not the best looking coupe out there but since it’s wearing the “Corolla” badge we should be more indulgent. We don’t know if Toyota is planning a coupe version of the latest Corolla but it could be a good idea to further popularize the “Corolla” nameplate which competes with Ford’s “Focus” for the world’s most successful car moniker. Following a couple of teaser shots, Opel has fully revealed the Astra OPC EXTREME which is heading to Geneva Motor Show next week. Described as being the fastest road-going Astra ever, the OPC EXTREME is 100 kg (220 lbs) lighter than the regular OPC variant thanks to an extensive use of carbon fiber. This lightweight material was used for making the hood, roof and the wheels which are 20 kg (44 lbs) lighter than the regular alloys. In addition, the fenders are produced from aluminum and weigh just 800 grams / piece instead of their steel counterparts which tip the scales at 2.2 kg (4.8 lbs). Its heart and soul is a four-cylinder 2.0-liter turbocharged gasoline all-aluminum engine delivering more than 300 bhp (224 kW) sent to the front axle through a six-speed manual gearbox and a limited-slip differential. Stopping power comes from Brembo's six-piston brake system with 370mm front discs sitting behind the 19-inch alloy wheels wrapped around in specially developed 245/35 tires. Performance figures have not been released but given the more power + less weight combo, the car is certainly faster than the regular Astra OPC which needs 5.9 seconds until 60 mph (96 km/h) on its way to a top speed of 155 mph (250 km/h). The stripped interior has a safety roll bar instead of rear seats while up front there are Recaro bucket seats with Schroth six-point safety belts and a carbon fiber-reinforced steering wheel covered in suede with yellow stitching. Opel has announced the Astra OPC EXTREME will enter low-volume production after its public debut set for next week at the 84th Geneva Motor Show. Hazumi" means "spring up" or "bound" in Japanese and the concept will provide a first glimpse at Mazda's upcoming subcompact model which will probably be shown later this year. Judging by this teaser photo, we notice Mazda has taken styling cues from the Mazda3 and Mazda6 but on a smaller scale to fit the small dimensions of the concept. Suzuki is introducing in UK the Swift SZ-L special edition which will be limited to 500 units. Japanese marque Suzuki is trying to spice up the UK-spec Swift facelift with a special edition SZ-L based on the mid-range SZ3 but with a few extra goodies. Available starting March 1st, the model comes equipped as standard with air conditioning, seven airbags, ESP, Bluetooth, as well as the LED daytime running lights and cruise control borrowed from the SZ4 variant. The model is offered with a two-tone metallic paint job available in either Boost Blue or Cosmic Black with contrasting Cool White roof, door mirrors and rear spoiler. The cabin features silver stitching on the gear gaiter, steering wheel and also on the seats which now have a bespoke fabric design. In the United Kingdom two engines are available. 1.2-liter petrol that produces 94 HP (69 kW) and 118 Nm (87 lb-ft) of torque. It should enable the five-door hatchback to accelerate from 0-100 km/h in 12.3 seconds (13.5 seconds with the four-speed automatic) and hit a top speed of up to 165 km/h (102 mph). The listing also suggests there will be a 1.3-liter diesel that churns out 75 HP (55 kW) and 190 Nm (140 lb-ft) of torque. This should enable the Swift to run from 0-100 km/h in 12.7 seconds, before topping out at 165 km/h (102 mph). The Suzuki Swift SZ-L Special edition will be offered as a three-door model from 10,899 GBP and also a five-door priced from 11,316 GBP. Honda has unveiled the CR-V Black and White Editions in the United Kingdom. The CR-V equipped with the new 1.6-liter i-DTEC Earth Dreams Technology diesel engine. The power unit is available exclusively for the two-wheel drive version fitted with a manual gearbox. The engine is the lightest diesel in its class, generating 120 HP (88 kW) at 4,000 rpm and 300 Nm (221 lb-ft) of torque at 2,000 rpm with CO2 emissions as low as 119 g/km. The British built SUV is very slightly longer than the old model, but has a 30mm lower roofline and the rear seat base has been dropped by 38mm, along with the driver’s seat dropping 10mm, all of which give the CR-V a much more car-like feel. Honda describe the car as a “perfectly centred balance between a car and an SUV”. Visually the front end adopts the new Honda styling theme with a large grille that overlaps the swept-back headlights and a sharply creased front bumper with chunky off-road cladding at the bottom. Described as a real head tuner, the special editions are equipped with a mesh grille, side running boards and body color skid plates. The crossovers also have privacy glass, a tailgate-mounted spoiler, a chrome exhaust tip and 19-inch Orion-style alloy wheels. Interior changes are limited but the models come nicely equipped with dual-zone climate control, Bluetooth connectivity and GPS navigation. The waistline rises up to the rear end where we see a small rear window and wraparound rear lights that from the rear three-quarter view gives a look very much like that of the Volvo XC60. The special editions are currently on sale and the petrol variant starts at £28,400 (OTR). Ferrari managed to achieve an impressive 2.3 billion EUR revenue in 2013 even though the company sold fewer cars compared to 2012. It was May last year when Ferrari chairman Luca Cordero di Montezemolo announced the firm's intentions to become a more exclusive brand and a few days later he said annual production would be limited to 7,000 units. He kept his promise as Ferrari sold 6,922 units in 2013, representing a five percent decrease in comparison to 2012. Despite delivering fewer cars, Ferrari achieved a five percent increase in revenue last year by posting a record 2.3 billion EUR. In addition, Ferrari's trading profit (money made before interest, tax and one-time items) went up by eight percent to 363.5M EUR. 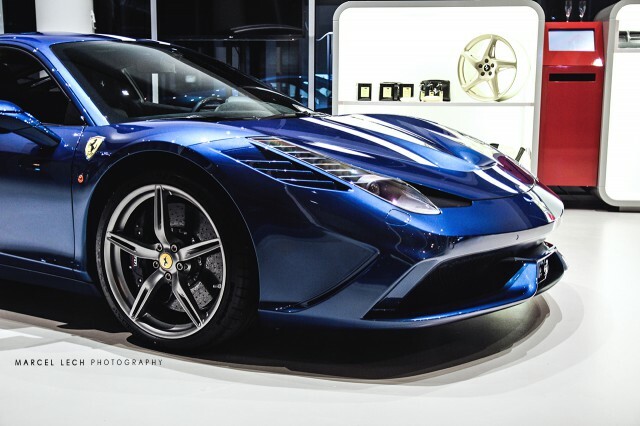 Ferrari's latest product is the 458 Special, an evolution of the Italia, which has already proven to be an instant hit as the Italian company has already received orders enough for one year's worth of production. Every possible inch of the car that can be made out of carbon fibre is. Carbon fibre is not the only lightweight material used to reduce weight in the car. The glass is entirely made of plexiglass. To further the performance of the car, simply choosing materials is one side of the story. Having ample amount of down force complimented with low drag coefficients at the appropriate times is vital. The new active aerodynamic system in the front (Yay! no more mosquito legs in the front bumper!) as well as the rear spoiler seamlessly coordinate with the driver on how to maximize driving experience not to mention track times. The engine has been tweaked along with the front bumper, hood, and rear diffuser. If the normal 458 is an Iphone 5, don’t think of this as an iPhone 5s, think of it as the Iphone 7s. All of the modifications speak for themselves in the data, faster by a whole second, light years when talking about supercars, than the prized Ferrari Enzo around Ferrari’s Fiorano test track. Even the 0-60 time is faster than a normal 458, sitting at a incredibly respectable 2.9 seconds. 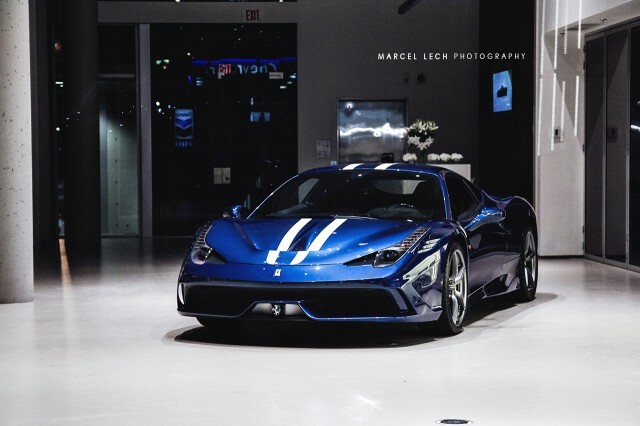 Without a doubt, the Speciale’s main purpose is to go fast, especially around the track. However, unlike most track cars, the Speciale is not cumbersome to drive off track at all. 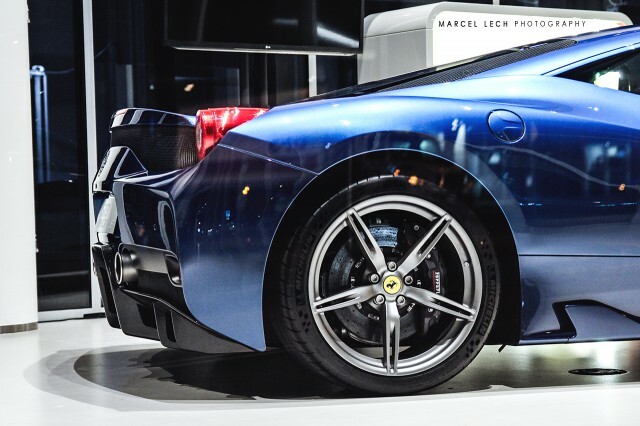 The F-1 transmission is as smooth as you’d expect out of any other Ferrari. As for hiring a full time masseuse due to the track minded ride- forget about it. The new SCM dampers are so reactive that the bumpiest road will little affect on the passengers. Audi has announced they are now taking orders for the A3 Sportback g-tron in Germany where the model has a starting price of 25,900 EUR. Introduced almost a year ago at the Geneva Motor Show, Audi's A3 Sports-back g-tron comes with a 4-cylinder, 1.4-liter TFSI gasoline engine outputting 110 HP (81 kW) and 200 Nm (147 lb-ft) of torque. It sounds just like a normal A3 until you hear the model can run not only on gasoline, but also on natural gas and Audi-generated e-gas. When running in e-gas mode, the vehicle is "entirely CO2-neutral." In terms of performance, the A3 Sports-back g-tron needs 11 seconds until 62 mph (100 km/h) on its way to a top speed of 118 mph (190 km/h) regardless of the type of fuel used. The vehicle comes equipped with two gas tanks that carry 7 kg (15.3 lbs) of compressed natural gas (CNG) at a maximum pressure of 200 bar. The tanks have been manufactured from CFRP and when at their full capacity they weigh 27 kg (59.5 lbs). On average, the car consumes between 3.2 and 3.3 kg of gas / 100 km which results in running costs of about 3.50 EUR / 100 km. When it runs on gas it has a range of around 242 miles (400 km) while on gasoline it can do up to 559 miles (900 km). Opt to use both types of fuel and the range increases to 807.7 miles (1,300 km). As far as the e-gas is concerned, it is a type of synthetic methane produced by Audi at its e-gas facility situated in Werlte in Lower Saxony, Germany. Audi says that an e-gas-running A3 Sportback represents "the most environmentally friendly form of long-distance mobility." The vehicle is equipped with an electronic gas pressure regulator capable of lowering the high pressure of the gas flowing from the cylinders. When greater performances are necessary, it can provide a high-pressure flow, while during low-speed driving it will enable a low-pressure gas. Following a comprehensive leak last weekend, McLaren has revealed online the 650S which will be presented to the public on March 4 at the 2014 Geneva Motor Show. There aren't a lot to talk about in terms of design as the 650S looks essentially like the 12C but with the front fascia taken from the sold-out P1. The mid-range McLaren has received the "650" lettering as its 3.8-liter V8 twin-turbo engine produces 650 HP (478 kW) while the "S" stands for "Sport". Performance figures will be disclosed prior to the car's Geneva launch but McLaren has already announced the 650S will be faster than the 12C so it will be a more appropriate adversary for the Ferrari 458 Special. You'll notice the new front end, which obviously draws heavily on the P1. The lights are now LED affairs, while there are larger air intakes both in the nose and in front of the rear wheels, which not only aid cooling but also contribute to the 650S's improved aero. The vehicle rides on fresh five-spoke lightweight forged alloy wheels wrapped around in Pirelli P Zero Corsa tires specially developed for this model. Other small changes include door blades behind the front wheels which generate more down-force, helping the new model provide an additional 24 percent of down-force at 150 mph (241 km/h) compared to the 12C. The McLaren 650S will be available in coupe and Spider body styles from this spring. The car markets around the world are very keen to exchange various brands in a short period of time. Thus the used car buying and selling has improved dramatically. Al-Ain Japan provides the opportunity to all the customers to buy the cars which bought from various big Japanese car dealers in Japan. All the stocks of Al-Ain Japan were bought from various auctions from Japanese CarDealers. The main goal of Al-Ain Japan is to provide the used cars from Japan to other countries to improve the Japanese car dealership. It has almost all international branded cars like Toyota, Honda, Nissan, Daihatsu, Lexus, Mazda, Mitsubishi and Subaru etc. Al-Ain Japan website provides brand wise listing in the website where customer can easily select the category of vehicle they needed. Each vehicle has a unique chassis number where all the details were mentioned for further purchase. Al-Ain Japan website has been selling cars, vans, trucks, SUV’s, Mini-vans, buses, tourist buses and Machinery from Japan to all over the world. The vehicle quality which sold by the Al-Ain Japan are up to the standards of Ministry of international trade and industry. We are the members of all the main auctions held at Japan, supported by many leading used car dealers in Japan. The stocks that were bought were undertaken at most care as possible till the delivery is done. Al-Ain Japan has the best dedicated service support which offers 24/7 attention on customer enquiries. Once the order is placed in website the delivery of the vehicle is expected as accurate as possible with reliability of our shipments. Al-Ain Japan which has the big network support of international used car dealers with good relationship makes us more reliable place to make a vehicle selection. Japan is the country which is continuously improvising on the used car trading. Al-Ain Japan is the website which makes the connection between different car dealers possible by purchasing and selling their used cars. Al-Ain Japan the place for all your Used car dealership needs. Al-Ain Japan is the forefront name amongst all the Japanese Used Car exporters and they proudly boast a vast variety of used cars which they have been exporting out to countries around the globe. They are pioneers of Japanese Used Cars exports, selling their goods throughout Asia, Africa, Europe, and Caribbean etc. The car auction industry is the biggest business going successfully in and around Japan. Al-Ain Japan were proud that they were in the members list of almost each and every auctions occur in Japan including USS used car system solutions, TAA Toyota Auto Auctions, ARAI arai Auto Auction, NAA Nissan Auto Auction, HAA Hanathen Auto Auction and JU groups. Al Ain also has trusted membership in JUMVEA, Export Bureau and Yokohama Chamber of Commerce. Al-Ain Japan purchases the stocks from the biggest dealers of Japanese Used Cars and gather’s even minute information about the particular stocks. Each and every vehicle is taken photographs from different angles as possible covering the entire views from all sides. Vehicle prices are decided on the conditions of vehicle mostly prices will be standardized prices according to the auction standards of international used car dealerships. Al-Ain Japan the biggest competitor of used cars in Japan along with many leading Japanese Used Cars dealers. Al-Ain Japan website provides all the required information’s from vehicle details to end delivery of that particular vehicle. The tax payment details are also included in the website. When some vehicle is ordered the receipt is being prepared and sent to the customer email. The tracking details of the particular vehicle are updated continuously so that the delivery period will be measured accurately by the customer. A support system is always available to clarify all the queries asked by the customers and provide the elite services. Al-Ain Japan website is the futuristic website for buying and selling Used Japanese Cars all around the globe. Lamborghini has announced they have received 700 orders for the Huracan LP 610-4. Described as an "excellent start for the heir to the best selling Lamborghini to date," the model is currently on a "month-long private preview tour worldwide for VIP clients." The tour will wrap up later this month before the model is officially unveiled at the Geneva Motor Show on March 4th. As a refresher, the Huracan has a 5.2-liter V10 engine that produces 610 HP (448 kW) and 560 Nm (413 lb-ft) of torque. It is connected to a seven-speed dual-clutch transmission and an all-wheel drive system which enables the car to accelerate from 0-100 km/h in 3.2 seconds and hit a top speed in excess of 325 km/h (202 mph). Designed to whet your appetite, the configurator reveals the Huracan will be available with 19 different exterior colors and two different 20-inch alloy wheels. The model can also be equipped with a transparent or black engine cover as well as brake calipers in black, silver, red, orange or yellow. The 1,422 kg (3,134 lbs) supercar will need 3.2 seconds to get from 0 to 62 mph (100 km/h) while the 0-124 mph (0-200 km/h) sprint will take 9.9 seconds. The engine is Euro 6 compliant and enables the Huracan to have an average fuel consumption of 12.5 liters / 100 km (18.8 mpg US or 22.5 mpg UK). Power is sent to both axles through a dual-clutch gearbox and on the steering wheel there's a switch to select from one of the three available driving modes: Strada, Sport and Corsa. The Lamborghini Huracan LP 610-4 comes as standard with carbon ceramic brakes and a large 12.3-inch TFT display inside the cabin which provides all the necessary info, from tachometer to the infotainment system. he Lancia Ypslion has received a digital makeover from Khalil B. who envisioned the model in a hotter HF version. Most of you have probably heard that Lancia is in a critical condition since Fiat CEO Sergio Marchionne has announced the brand will soon be offered only in Italy and they will sell just one model, the Ypsilon. Now, Khalil B. decided to digitally create a hotter version of the model wearing the legendary "HF"” (High Fidelity) moniker. The more potent Lancia Ypsilon envisioned in these renders wears a slightly more aggressive body kit with beefier bumpers, larger alloy wheels, muscular side skirts and a roof-mounted spoiler. It also comes with a dual exhaust arrangement and red accents on the rear diffuser while the mirrors wear a two-tone red and black theme. Although it has a lot of potential, an uprated version of the Ypsilon is simply not enough to put Lancia back on the map but it would represent a solid first step to keep the brand afloat. The Hyundai ix25 has been spied for the very first time, ahead of an official reveal scheduled for April at the Beijing Motor Show in China. Hyundai's upcoming compact crossover will share its platform with the next generation of the i20 and despite the extensive camouflage this prototype was wearing we can easily see it will come with a flat roofline while the front and rear fascias will be similar to other recent Hyundai models. In addition, the beltline seems to be sweeping upwards and the rear doors appear to be narrow which indicates those sitting in the back will be a bit cramped. Engine lineup will probably be taken from the second generation i20 so expect to find at least a 4-cylinder 1.2-liter gasoline engine along with a more frugal 4-cylinder 1.4-liter diesel. The model will be built in China by the Beijing Hyundai joint venture and will have to compete with the Skoda Yeti, Peugeot 2008, Ford EcoSport and an upcoming production variant of the Volkswagen Taigun. 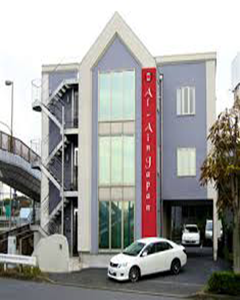 Al Ain japan is a one of the leading used car exporters in japan. having exported many cars around the courties in Asia, Africa, Oceania, Carribean etc for more than 16 years. Alain Japan is one of the trusted car dealers in japan having member ship in all leading auction house in japan including USS used car system solutions, TAA Toyota auto Auctions, ARAI arai Auto Auction, NAA Nissan Auto Auction, HAA Hanathen Auto Auction and JU groups. Al Ain also has trusted membership in JUMVEA, Export Bureau and Yokohama Chamber of Commerce. We purchase vehicles from auctions and from main car dealer brand. Al Ain Japan Exports all kinds of vehicles ranging from Hatchback, Sedan, Wagon, Coupe, Sports car, Mini Van, Truck, Bus etc. A study shows Japanese car are the most reliable and safest car in the world. They are maintained and serviced well according to the Japanese Government. Al Ain Japan has a quality standard where all vehicles get inspected and taken test drives by trained technician. All vehicles receives approval based on condition's. Vehicles which pass the test are approved for exporting. this process is strictly followed to ensure the quality of vehicles that are exported from Japan. Japan is one of the largest sector in manufacturing car bands like Toyota, Honda, Nissan, Daihatsu,Lexus, Mazda, Mitsubishi and Subaru. We maintain good relationships with all the leading shipping companies for exporting vehicles from Japan. At Al Ain Japan we offer customers the best price and immediate availability of service. our sales team is available to provide customer support 24 hours a day and we have support staffs who can talk in English, Japanese, Russian, Singhalese and Tamil. Honda has unveiled the 2014 Civic Hybrid and Civic Natural Gas. Set to go on sale later this month, the updated models feature an "expanded view" driver's mirror, On the styling front, the sedan is unchanged while the coupe receives modified bumpers, a revised grille and new front fenders. The model also has revised mirrors and updated head- and taillights. Additional changes are limited but the Civic Hybrid has an improved EPA fuel economy rating of 44 mpg city / 47 mpg highway / 45 combined (US). The Civic Natural Gas, on the other hand, gains an upgraded interior with improved seats and better trim. The model also has a new range-topping variant with heated leather seats and a six-speaker audio system. Honda declined to release performance specifications but the previous Civic Natural Gas had a 1.8-liter four-cylinder engine that developed 110 bhp (82 kW). Likewise, the Civic Hybrid had a 1.5-liter four-cylinder engine and an electric motor that developed a combined maximum output of 110 bhp (82 kW). The Civic Hybrid starts at $24,635 while the Civic Natural Gas retails for $26,640 (both excluding a $790 destination charge). Toyota has introduced the new Camry Hybrid SE Limited Edition. Described as an "exciting new variant," the special edition is based on the Camry XLE Hybrid and features Camry SE bodywork and 17-inch alloy wheels with low profile tires. Interior changes are limited but the model has a leather-wrapped steering wheel, silver trim and seats from the Camry SE. The model can also be equipped with a $2,215 package that includes a moon-roof, GPS navigation and the En-tune Apps Suite. Like the standard model, the special edition has a hybridized 2.5-liter four-cylinder engine that produces 200 bhp (149 kW). It enables the sedan to return 40 mpg city / 38 mpg highway / 40 mpg combined. 2013 Toyota Camry SE Sport Limited edition is a not so sporty engine in the form of a 4-cylinder 2.5-liter unit that produces 178 hp (133 kW / 180 PS) and a peak torque of 170 lb-ft (230 Nm) which allows the car to return 25 mpg in the city and 35 mpg on the highway. As a reminder, the regular version is also offered with a beefier V6 3.5-liter with 268 hp (200 kW / 272 PS) and 248 lb-ft (336 Nm) of torque. Exterior It comes with 18-inch alloys that have a smoked look, along with a power sunroof, an eight-way power seat and a 6.1-inch touchscreen Display Audio with Navigation and En-tune. Options include the usual suspects as well as a back-up camera, GPS navigation and a JBL Audio System. The 2014.5 Camry Hybrid SE Limited Edition will go on sale later this month and pricing starts at $27,845. An undisguised Datsun sedan was spotted somewhere in Russia, ahead of a very possible launch later this year. Details about the low-cost Datsun sedan are not available at this point but it is believed the model will be based on the Lada Granta which is actually based on the Lada Kalina. This platform was created by Renault in collaboration with Russian carmaker AvtoVAZ and was likely used for this sedan which will reportedly receive a hatchback derivative late this year. It will be offered exclusively with a 1.2-liter engine linked to a 5-speed manual gearbox. The exterior design closely mirrors the Micra, while inside the typical glovebox has been replaced by a space under the dashboard. Datsun moved the handbrake and gear lever to the dashboard as a method to free up space between the front seats. They also borrowed the Micra’s door handles and AC vents. Production of the Datsun sedan will take place in Russia and order books will allegedly open in April. The aforementioned five-door hatchback will likely be unveiled in August at the Moscow Motor Show.